The new United States of America Ambassador to Fiji, Judith Beth Cefkin, says she’s excited about taking up her new role in Fiji. “I can’t wait for my time on your ecstatic shores as they say in Fiji ‘Vinaka Vakalevu’,” she said. She said while her home would be in Fiji she would be visiting all the nations to which she was accredited in the hope of strengthening relations with the US. Ms Cefkin is also accredited to Kiribati, Nauru, Tonga and Tuvalu and is expected to arrive into the country soon. In an official US Embassy You Tube video, Ms Cefkin said she looked forward to working with Pacific Island leaders. “As Ambassador I will be dedicated to deepening the friendship between our government and your people. We are not only friends but we are also neighbors who share the waters of the great Pacific Ocean,” Ms Cefkin said. She said she hoped to engage with her accredited countries in a bid to fight climate change and preserve the oceans. “Our countries share vision of strong democratic institutions and take our responsibility seriously to promote global peace, stability and prosperity. 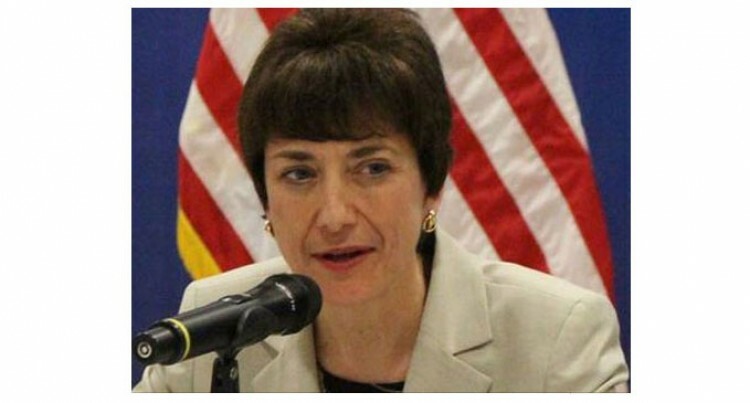 Ms Cefkin was earlier posted as a Senior Advisor for Myanmar and worked closely with the US Congress. She also served as Deputy Chief of Mission in Thailand and Deputy Chief of Mission in Bosnia and Herzegovina. Her earlier assignments included regional affairs officer in the Bureau of Political Military Affairs at the Department of State and desk officer for Burundi, Rwanda and the Central African Republic.